Running a Fleet comes with much responsibility, not only for your merchandise and equipment but also for your personnel. Having a large number of drivers constantly on the road bares many risks. Mobileye will minimize risk factor and improve your fleet’s driving habits, reducing wear and tear and increasing fuel efficiency. 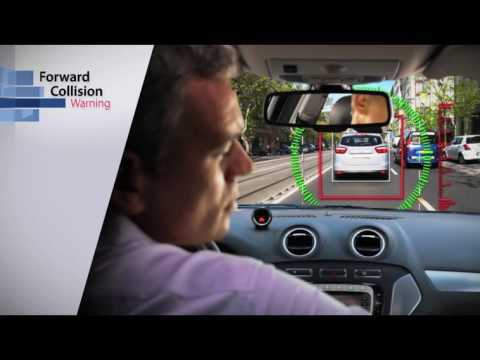 Mobileye is the world technological leader in advanced collision avoidance systems for enhanced fleet safety. Mobileye’s unique vision-based platform powered by its proprietary chipset and algorithms, works as a “third eye” to mitigate and reduce the risk of collision. Mobileye can be installed as a standalone device or in combination with your telematics solution to provide you with a very powerful tool to help address critical challenges involved in managing a successful fleet. Mobileye captures situations such as tailgating, lane deviation, and imminent forward collisions. It then generates data which can be exported to a 3rd party, enabling enhanced visibility on your fleet and drivers’ behavior. • Integration with Telematics systems, black-box recorders, driver training systems and more. Once received, the information is utilized for enhancing any driving related risk management program, and can be utilized for driver evaluation & training. The Mobileye driver aid is creating safer roads worldwide!